When I first started playing drums, it was all rock n' roll! Mom always called it "noise". Looking back, I'm sure it was. She always went to visit Mamaw or Aunt Grace to let me "practice". I'm sure it was for sanity reasons as well. Through all the "noise", there was always one song where she would always say, "Now I like that one. It's pretty." That song was Stairway To Heaven by Led Zeppelin. Now Mom was a fan of Jim Reeves, Eddy Arnold, Tennessee Ernie Ford, and George Strait, so this was a big step. She was really happy when I started playing country music! Ever since Mom passed, that song has had a whole new meaning for me, especially the last verse and how it relates to my photo and the program from her funeral. 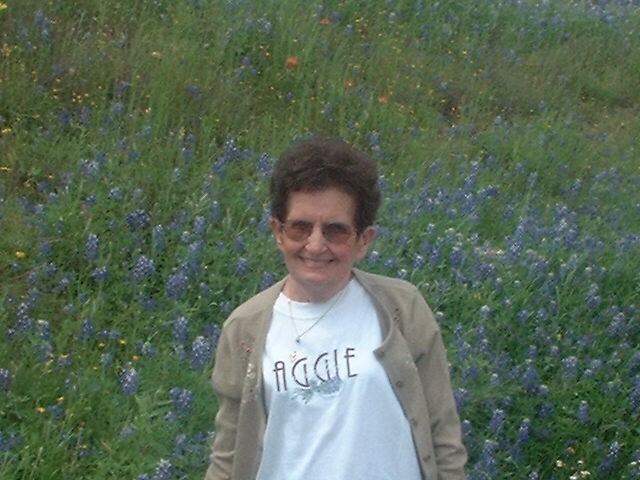 The photo below was the cover of the program at Mom's funeral. It always made me think of Stairway To Heaven. 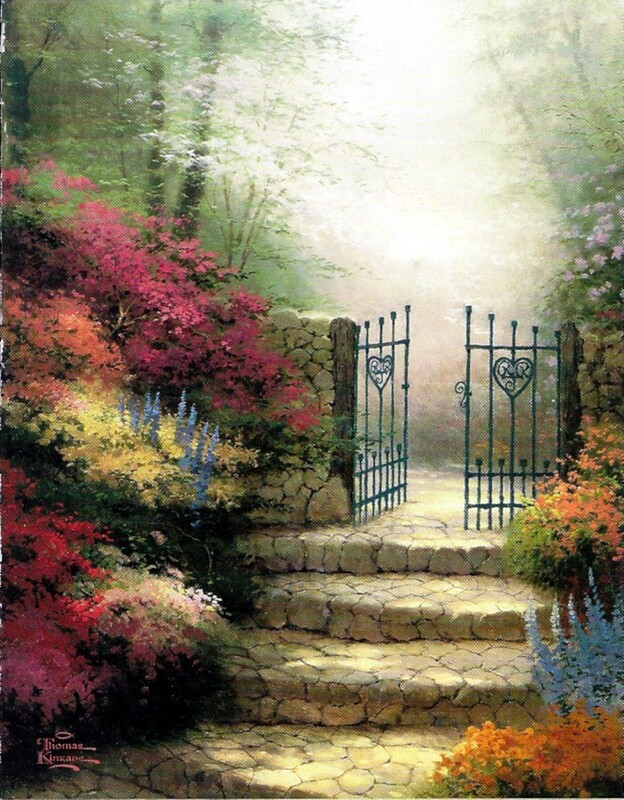 The actual name of it is Garden Of Promise and it is a painting by Thomas Kinkade. I also used it for the background of this page. 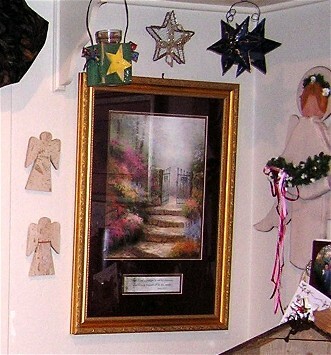 My lovely daughter, Regina, bought the actual painting for us and it is now in our "Angel Corner" of our home. ......And she's buying a Stairway To Heaven. Click the play button to hear "Stairway To Heaven"